I love an opportunity to decorate for a party, and even more so if I get the chance to make the decorations myself! 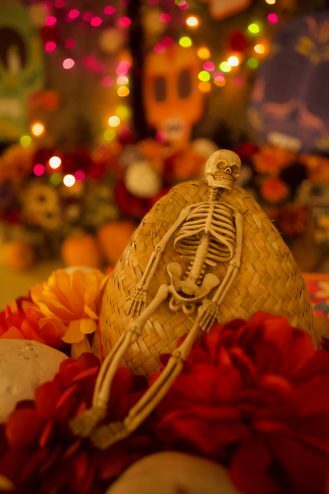 The last few years we have hosted a Day of the Dead (Dia de los Muertos) party, inspired by the Mexican holiday and the annual festival in Hollywood Forever Cemetery in Los Angeles. 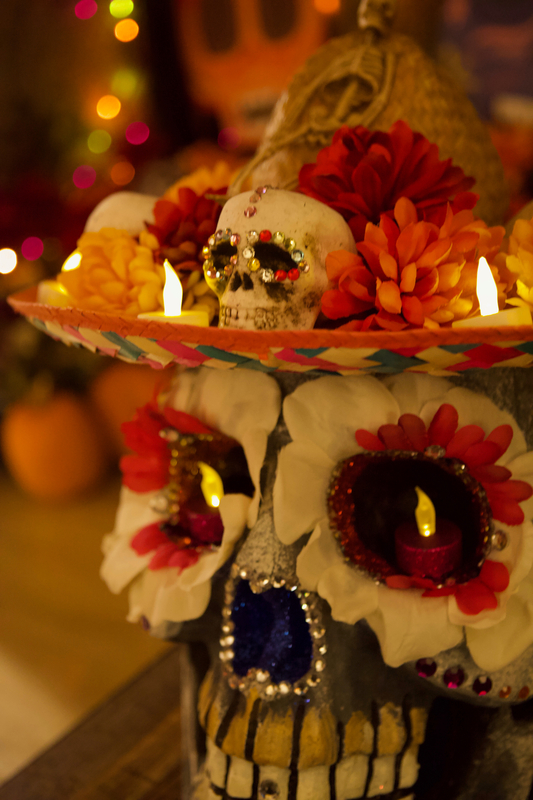 For this year’s party I used some foam core on which I hand-painted bright calavera (skull) motifs. 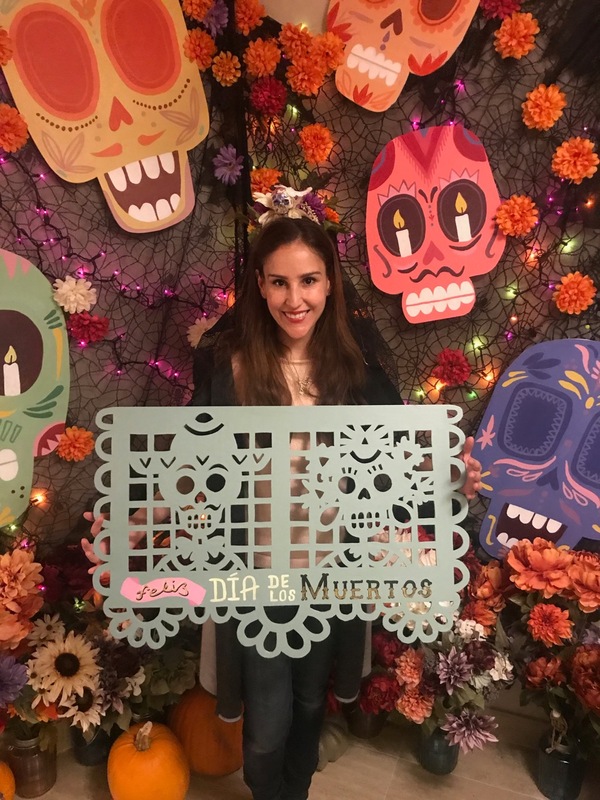 I created a skull and lace backdrop with twinkly lights and garlands with faux marigolds and lace ribbon, with plenty of hot glue. 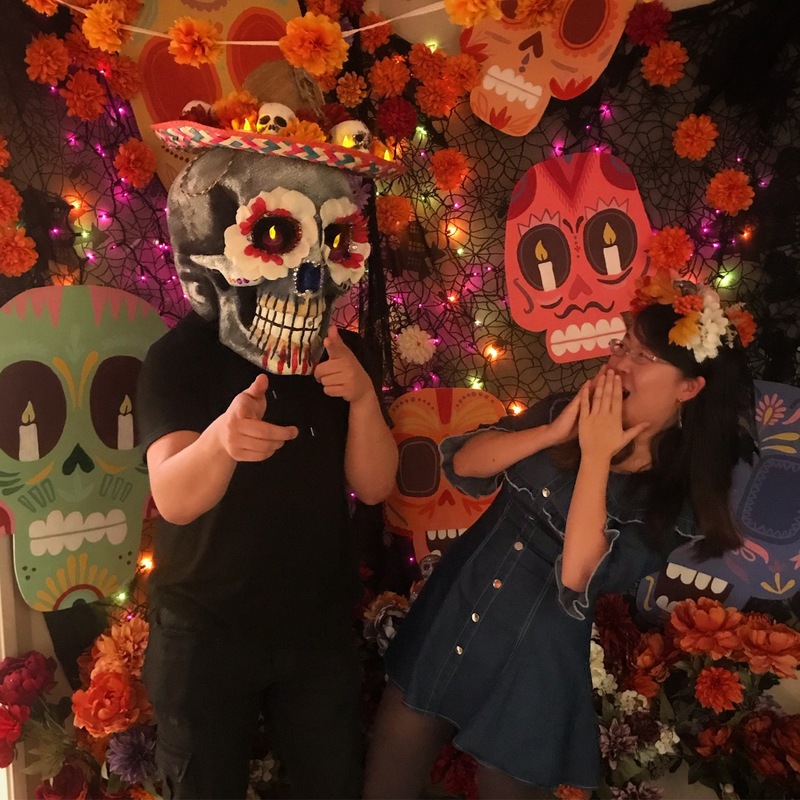 I painted and collaged a large polystyrene skull and a vintage sombrero that Chris bought from a work auction, which were fun decorative items and photo props. Papel picado was the inspiration for some cut paper-style foam core signs. Gabriela with over-sized ‘papel picado’-style signage! We also set aside a maker space and I led a craft session for my friends teaching them how to make calavera headdresses to wear, which was so fun even for the craft-reluctant!